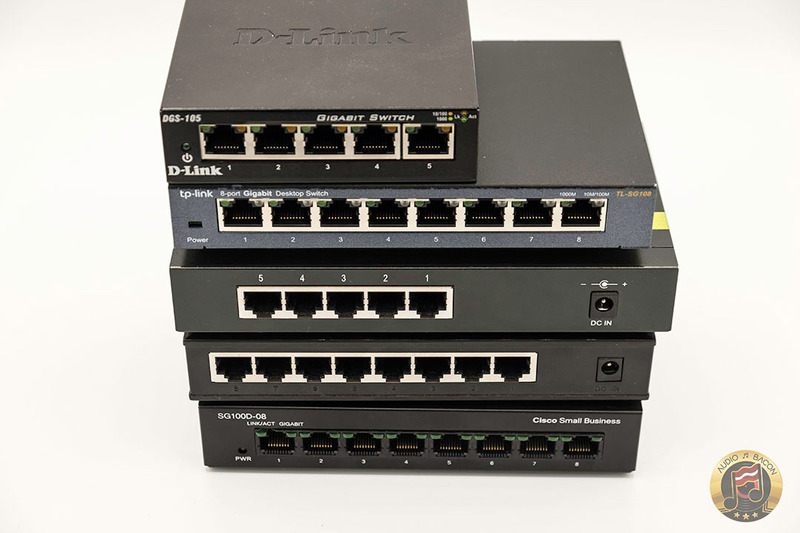 When I first heard about “audiophile-grade” ethernet switches (and cables), my eyes slowly started to roll. Slowly because, as we know, everything matters in Hi-Fi – but this wasn’t a DAC, or server, or even USB related. But, like most things in digital audio, it involves a clock – and we know how crucial an accurate clock is for audio. Anyway, after much exploration – these seemingly innocuous components could be more impactful than you’d think. 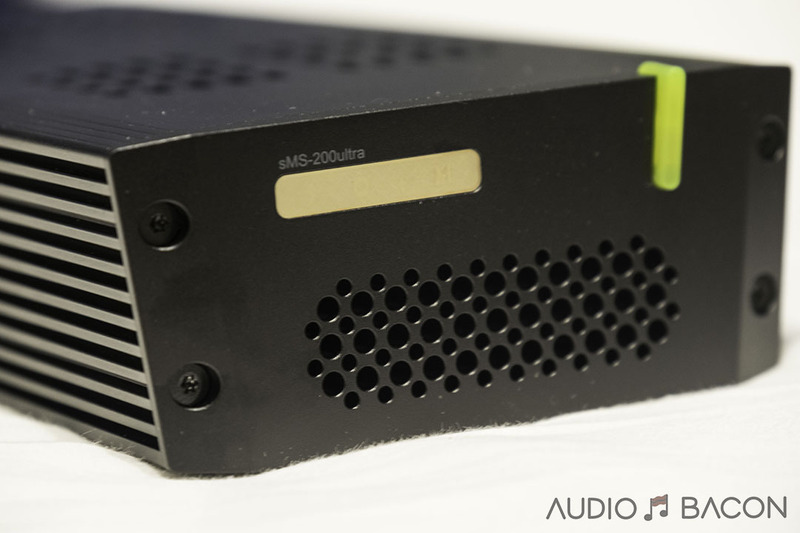 Adrian Wun of The Linear Solution (TLS) sent me one of their greatest audiophile networking solutions – the OCXO Audiophile Switch with its optional linear power supply (LPS). He also threw in their latest TLS Reference CAT7 ethernet cable. 24K gold circuit trace – provides extra stability for the oscillator module. Zero ground circuitry – it continuously drives the ground signal and greatly reduces noise (jitter) caused by unstable volts. Taking a peek at the innards and you’ll realize TLS is obsessed with performance. The first thing I noticed was the red 7N UPOCC copper wiring. Always a great choice. A few capacitors are swapped with “audio-grade” ones and perhaps some EMI/RFI rejection tape over the chips. 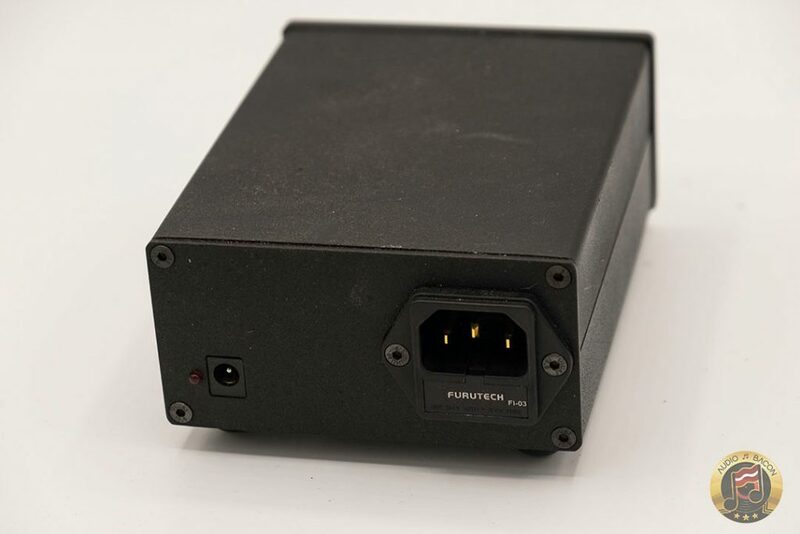 You’ll also see their proprietary 24 MHz clock module and grounding connections. TLS left no stone unturned when it came to maximizing what they could out of this switch. As a sanity check, I wanted to compare the OCXO switch to some (unmodified) generics I had on hand. In order to keep the power supply constant, I used a Paul Hynes SR4. I actually ended up using every single voltage option (5V, 7V, 9V, 12V) – a very handy piece of gear. If you’re going to use The Linear Solution linear power supply, the High Fidelity Cables Reveal power cord is a perfect match. If you’re going to use the Paul Hynes SR4, the Vovox Textura pairs very well. We’re using Zenwave Audio 7N copper DC cables for testing. 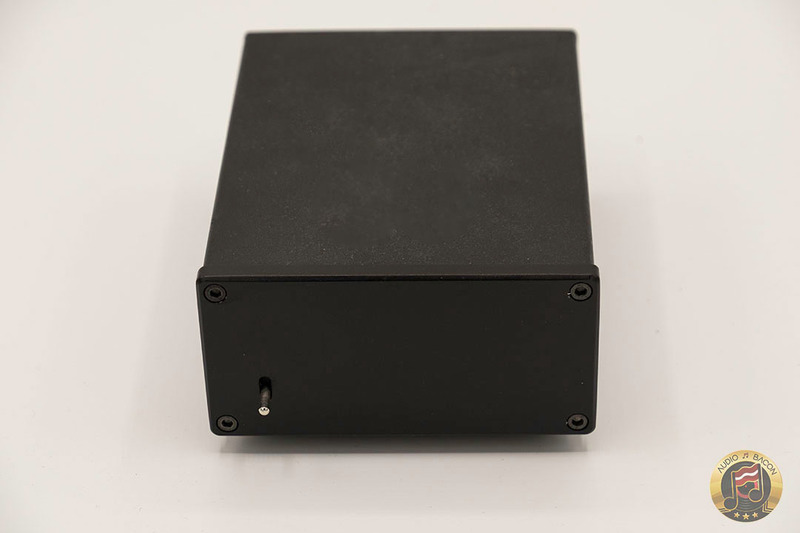 Grounding the TLS OCXO with a Synergistic Research HD ground cable to a Synergistic Research passive ground block solidifies the warms up the sound. Some shimmer is lost and the dynamic snaps aren’t as incisive. But I feel there’s truer tone in the midrange. I could go either way with this although I feel the switch is more genre-independent when it’s grounded. Much more warmblooded. How important is the switch in the chain? We have a TP-Link router + modem combo that we’ve been using for our larger system. We’ve been using its built-in LAN ports to connect our Roon Nucleus server and Lumin S1. When we included The Linear Solution OCXO switch – the differences were enormous. In some ways, it seems to isolate and consolidate centrally. Music is more collected and refine – and quieter. 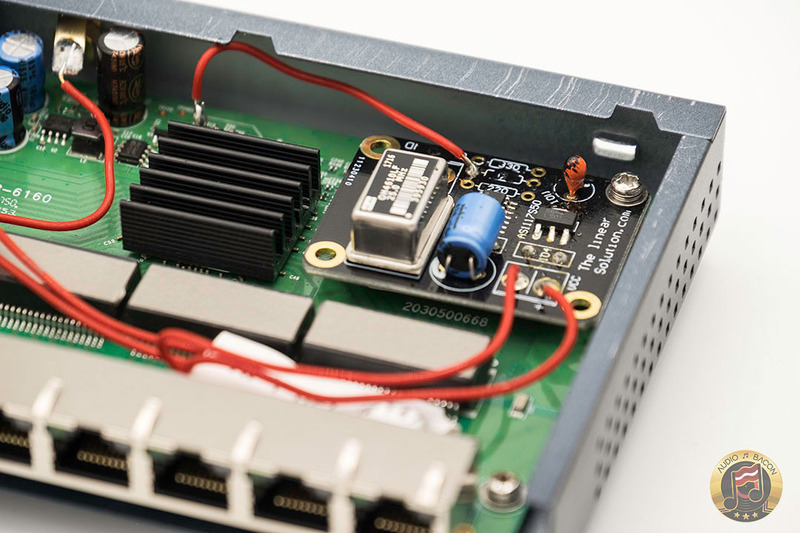 The only time having the switch in the chain sounded worse was when we used a Monoprice power cable on the TLS linear power supply (powering the OCXO switch). Even then, the music was still smoother. From our testing – having a better switch is the difference between music that sounds hazy, diffused, and light versus something more gradated and solid. 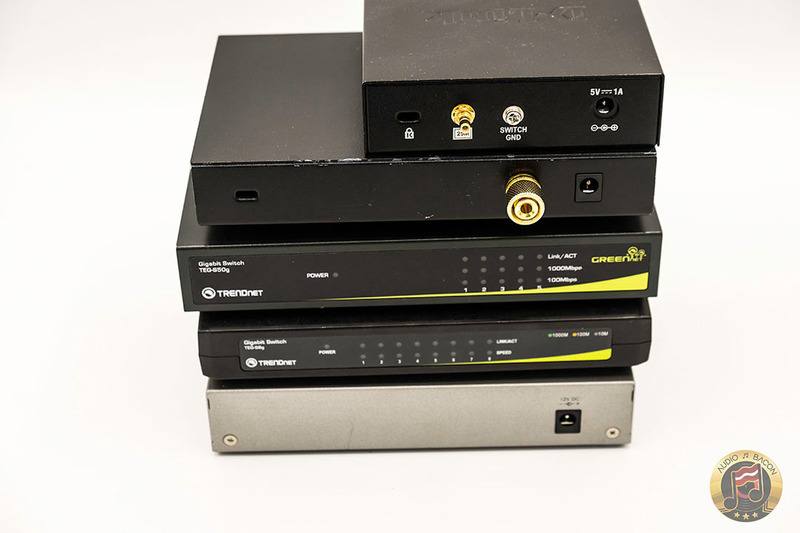 Many believe a switch will only help streamed content from services such as Spotify, Tidal, or Qobuz or from a network-attached storage (NAS). But even if you’re playing music directly off a hard drive from a server (that doesn’t hit the network but goes straight from USB to your DAC) – your switch matters. Not only that but the ethernet cable attached to the server matters as well. Yes, even though technically the ethernet cable is only being used to let Roon tell the server to play a certain song off the internal hard disk (say off an Innuos Zenith SE music server), that ethernet cable still affects the sound of the local files. Using different ethernet switches and cables on the Innuos changes the sound of the local files being played off its SSD hard drive. I know it doesn’t make any sense, but you could try it yourself. We’ve tested this on multiple systems. Reason for this is most likely due to noise permeating through the ethernet switch and cable to the hard disks and other circuitry. We did an experiment where we tested streaming an album from Tidal and playing that same album that’s stored locally. Theoretically, using a cheaper power cable (such as the Monoprice) on the router should affect streamed content more heavily. Instead we found that it was relatively more detrimental to the music stored in our local library. Streamed content from Tidal was worse but not too far off from using a much better power cord at the router. We surmise this is due to the noise touching more of the system, including the storage interfaces of the music server. In any case, the TLS OCXO switch was able to still provide much better audio quality versus going directly from the ports of the router. It provides a appreciable amount of isolation from the noise. While I do not doubt that the clock quality can have an effect on sound quality of the Ethernet distribution, I am going to be very hesitant in accepting this as a good place to spend this kind of money. 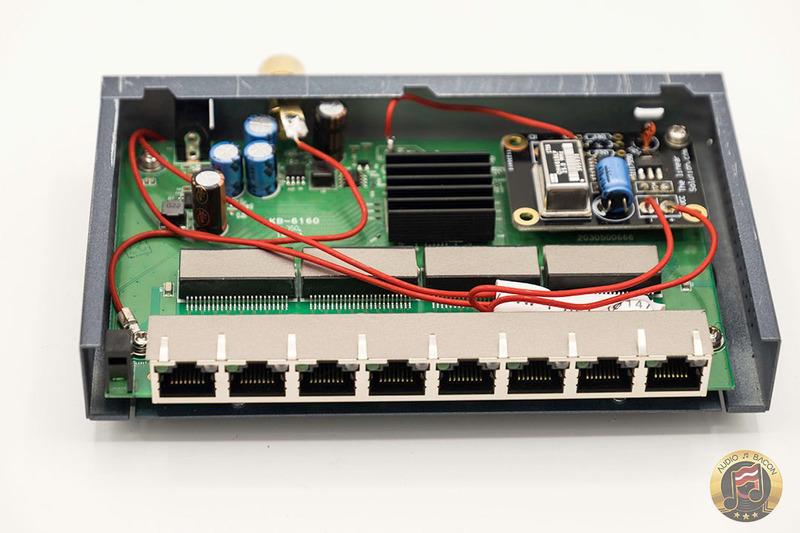 Priorities are important here, putting a better clock than the audio clocks in the DAC in an Ethernet switch is not defensible in terms of priorities. The audiophile should first get clocks this good in the DAC where they make the most difference. Additionally, is the clock signal being carried on that unshielded wire from the clock board to the main board? If so there is no way that clock signal is good, and this is poor implementation. 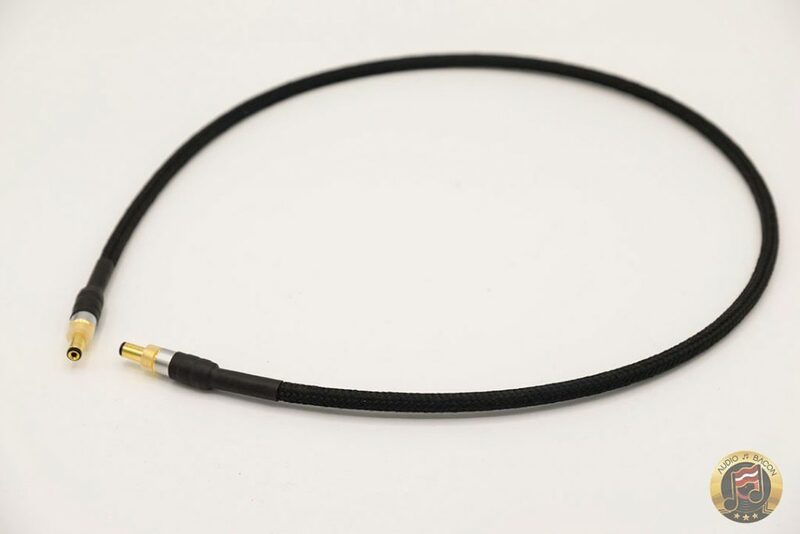 Clock signals must be carried on impedance controlled coaxial cables, with proper impedance matched terminations at both ends (micro BNC or SMB, etc). 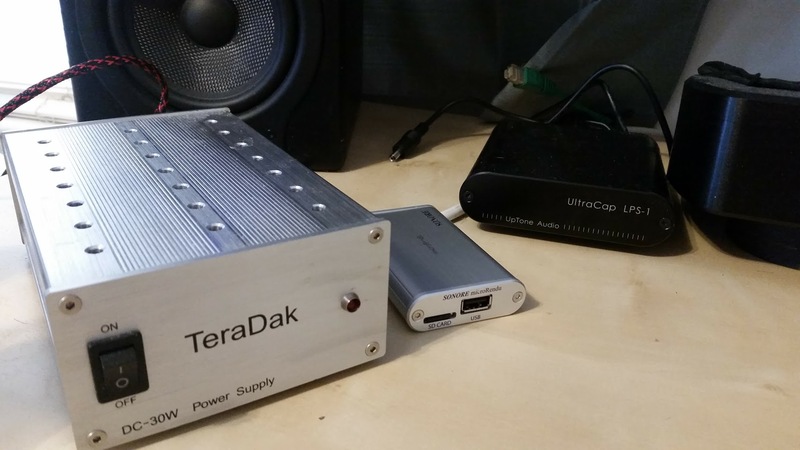 I have seen a lot of folks, with rather pedestrian DACs, spending lots of additional monies on Ethernet tweaks, while many of these tweaks can make a difference, the performance improvement is small compared to better speakers, a better DAC, or better masterclock(s) internally in the DAC. Please folks, get your priorities straight, work from the speakers backwards in terms of upgrades, especially when it comes to Ethernet tweaks. Bog stock Ethernet cables, switches, and routers already offer performance better than the best disc spinning transports. Only when the rest of the system is “perfect” is it time to embark on Ethernet tweaks for the last 0.5% of improvement (given that one is using a really good Ethernet Renderer). I can’t agree more with this comment. There are several reasons that explain the fixation on small gadgets, but at the end they become expensive. The first option is simpler and probably cheaper. My guess is that it produces better sound. 1. Get the best DAC you can afford. Metrum Adagio NOS for me. 3. I use Empirical Audio Clock connected by the BNC. 5. Ethernet cables – Tera Grand Cat 7 ($20 US) is exceptionally good. I have high end cables as well but these are my current preference! I think the “system” needs to be viewed end to end. Optimise the source as much as possible as you wont get that signal back downstream. Equally, use best power cables you can afford, then speaker cables and then IC. Stock USB and direct to USB in DAC has not worked well for me. I think the Syncromesh clock from Empirical Audio is the most important in my system. But, the changes to the Ethernet side of things makes a very big difference and there the switch has the most compelling uplift in SQ. Simple is not in my experience the best. It is managing each part of the chain . I agree with the digital BNC cable being up there in priorities. 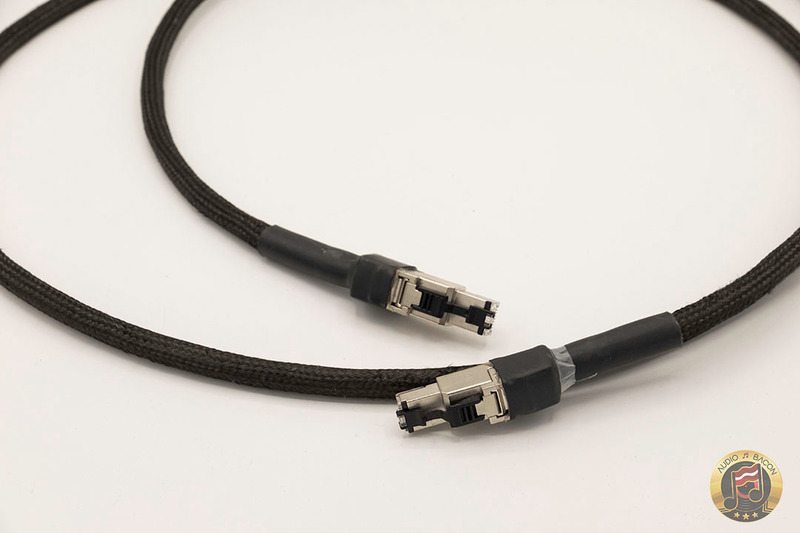 However, a truly superb digital BNC cable is going to cost a lot of money. Which most people aren’t willing to spend. But it’s an absolute necessity. Once you hear a reference digital cable, there is no going back. That guess is already a fail. Your stock unshielded USB cable kills a major portion of the improvement the DAC and monitors might provide in electrical feedback. This isn’t rocket science any piece of copper that has a connection to electricity will create noise in the sound stage unless it’s specifically shielding the power pin. At least put a Jitterbug on that USB connection from the laptop. It’s funny how “audiophiles” will pay hundreds to thousands of dollars for hardware and then cheap out on USB & ethernet cables. I’m not talking about crazy money ether. $60 for a Jitterbug and $30 to $70 on a audio grade USB cable for a marked improvement. That’s pocket change in this hobby. Before you ask I am a Electrical & Network Eng with a background in touchy copper/fiber to switches/routers/industrial machines. Hello, Mr. Bacon. I read this review with interest, since I’m about to convert from a CD system to a streaming system. For the streaming newbie, there’s a lot to figure out. — You do not mention that there is a TLS TCXO switch as well, slightly cheaper than the OCXO. What’s the difference? — There is also a TLS Audio Supreme Server, price on request. — On the TLS OCXO page, the Linear Power Supply is described. Does the switch require a power supply? You don’t discuss that. The TLS price list shows 3 LPSs priced from $459 to $899, in addition to the OCXO price of $589. — Do you really have 3 different Ethernet cables linked in sequence between router and the OCXO? That’s what your “current chain” indicates. Talk about tweaking! If you have 20 different cables on hand, how many combinations of 3 are there to try? Anyway, your reviews are great, and you provide info and insight that is pretty much not available anywhere else. You simply tell what you hear in specific situations. The switch matters. It’s up to us to take it from there. Why some people feel the need to tell us what our “priorities” should be, I don’t know. If you have a cheap switch, your system will not sound its best. Unfortunately, the same applies to every piece of the system. We’ve all got an existing system, a future vision, a list of wants, a budget, priorities, a room, a wife, etc. So good luck to all. Isn’t that the truth; I’m in the same boat. I have a Streamer and am waiting on the EtherREGEN to be released (but for this discussion it will still just act as a “real good” switch). Trying to decide on (electrostatics vs planer magnetics???) headphones and the an amplifier to power same. You don’t say anything about modems. Will just any old modem do – my previous experience tells me that if a switch makes a difference, so should a modem. (Kind of like, if your turntable is no good, it doesn’t much matter how many thousands of $$ of equipment you have downstream.) My question is: Is a good (sounding) modem all I need? Where can I get one? 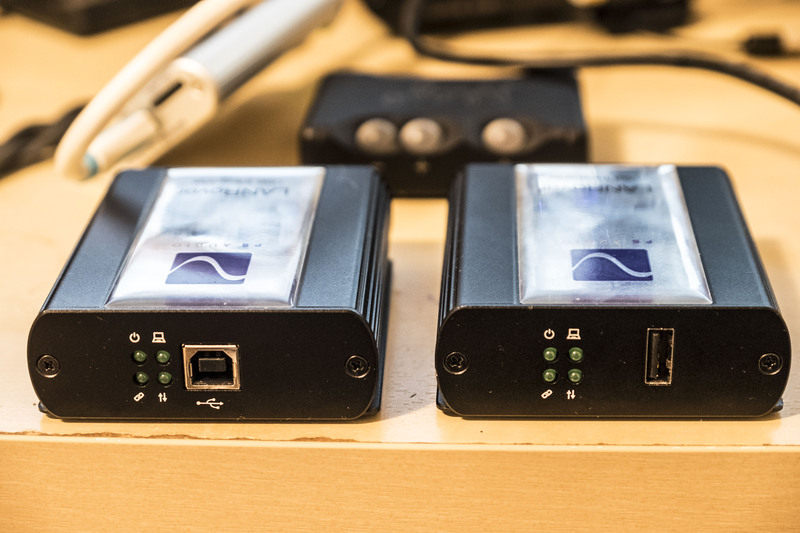 Connect the (audiophile-quality) modem (a simple affair – no wireless capability) to the EtherREGEN and the EtherREGEN to the Streamer with two high-quality 1-meter Ethernet cables? Job done? How about the wireless router – can I get my iPad to communicate with the streamer without having the wireless router directly in the Ethernet chain. Can I go from Modem to EtherREGEN (or switch) to Streamer, with the wireless router off to the “side” (so, its signal comes from the EtherREGEN or the audiophile-quality switch, BUT it doesn’t have to be inserted (thereby degrading the signal) directly between the modem and the EtherREGEN or switch)? Will the iPad talk to the Streamer if the wireless unit is positioned in this fashion/location in the chain (out of the “music” signal chain)? HELP? TXCO is the clocking technology that is simpler in implementation but the performance isn’t going to be as good, but will also be cheaper. It’ll still be better than standard clock that is in a regular switch. Yes, we’ve discussed the server with Adrian, and it sounds like it’ll be really something special. Servers are incredibly complicated and there’s still a ton of experimentation and learning. We appreciate your note, and thank you for the feedback! Cheers to your system too! Ethernet packets are check-summed from the source. If they don’t arrive in tact, then the packet is re-transmitted. 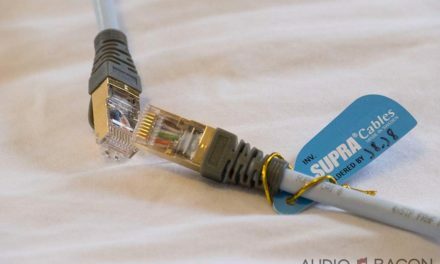 Many confuse ethernet with the anomalies of SPDIF, which it is not. Your device buffers the packets and then streams them. If you use a decent 1G switch with CAT6, then you will have all the bandwidth need to stream ANY stream. Most devices are 100Mb ethernet anyway. This is simply pseudo-science. Have you compared the linear solution ocxo switch to the Aqvox SE switch?